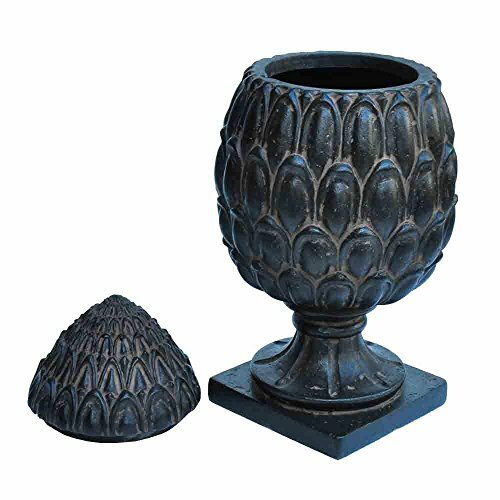 This exclusive Artichoke Urn is stunning as a planter or add the cover and you have a finial to enhance your gardenâ€TMs beauty. Constructed of a blend of natural stone, resin and fiberglass this planter is lightweight, watertight and weather resistant. The 85% crushed natural outer stone surface ages to a beautiful time worn, old world hue as it weathers.